I believe that is so important for young girls (and boys) to see women like them and their mothers/sisters/aunties etc. aspiring and ACHIEVING! 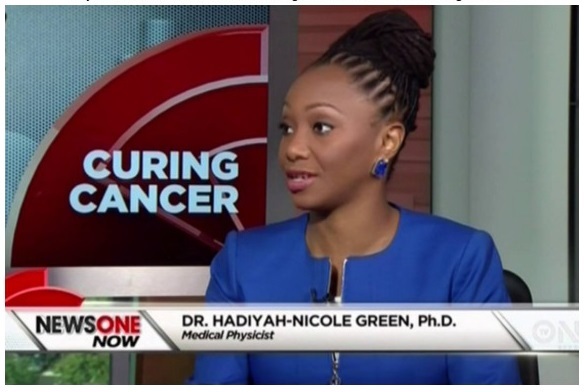 I am so proud of black women like Dr. Hadiyah Nicole Green who is undoubtedly a role model, that blazes a trail for NOT ONLY black girls (and boys), but for all young people. I'm so greatly inspired by her; check out what this amazing sister is achieving in the field of medicine! If you want to learn more about this inpsirational black woman, click HERE. If you can, try and lend support to her cause. That's it guys. Thanks for reading.